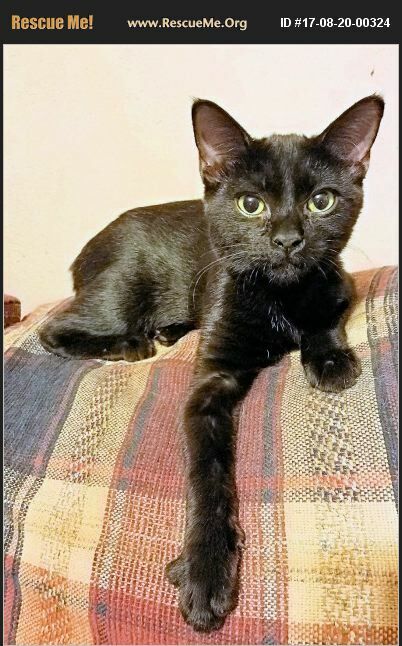 Shasta, DSH Black Spayed Female, Vaccines Current DOB 4-3-17 Shasta is a delightful little girl kitty who loves, loves, loves people and other kitties and even small dogs. She's a wee bit shy when you first meet her, but it won't be long before she's in your arms and purring up a storm. Sister to Sammy Shasta is sponsored by Partners for Cats, so there is no adoption fee. All you need is a safe loving home. If you are interested in taking Shasta as your furever baby, call Natalie and speak with her about bringing this sweet girl home. Her Number is 828-781-1938 and Shasta is in Hickory NC. We encourage Double adoptions, especially if there are no other playmate kittens in your home.